If you have ever been interested in minimalist living, this will definitely help get you started on the right track. In these simple and easy ways, you can begin to become a minimalist. Minimalist living is a stress-free way of living by simplifying your life. Fewer belongings, more space, less quantity, and more quality — who wouldn’t want all of those things? Every time we approach spring or summer, it ends up on my list of goals to make more of a minimalist home. How did we accumulate so much stuff? How did we begin to outgrow our 1,200 square foot home, even before we had any kids? I’m pretty sure it’s time we consider taking a weekend to seriously get organized and have a garage sale! What Does Minimalist Living Look Like? Minimalist Living – Where To Start? I think in general the best way anyone would describe a minimalist life is with two words: tidy and simple. Picture decluttered rooms (no junk stashed under beds or up on closet shelves), space on a bookshelf to actually see the shelf itself, open spaces and gleaming counters, and smiling faces all around. Why? Because the whole point of the trend of minimalist living is to have less stuff to dominate your life, so you spend less time working on your stuff and have more time to spend as you want to — time on hobbies or time to just enjoy some family togetherness. You might realize that there’s a pretty strong overlap between the frugal lifestyle and the minimalist lifestyle. Both embody the idea of the possibility of living well on little money, although this is where they can also differ. While a minimalist lifestyle might end up saving someone money in the long run, as they’re buying less “stuff,” it is not necessarily driven by saving money wherever possible. Someone living a frugal lifestyle will also save money due to buying less “stuff,” the things they buy may likely still be of a cheaper sticker price than the exact comparable item that a minimalist would buy. So while these two lifestyles can overlap significantly, they’re also likely to differ significantly. 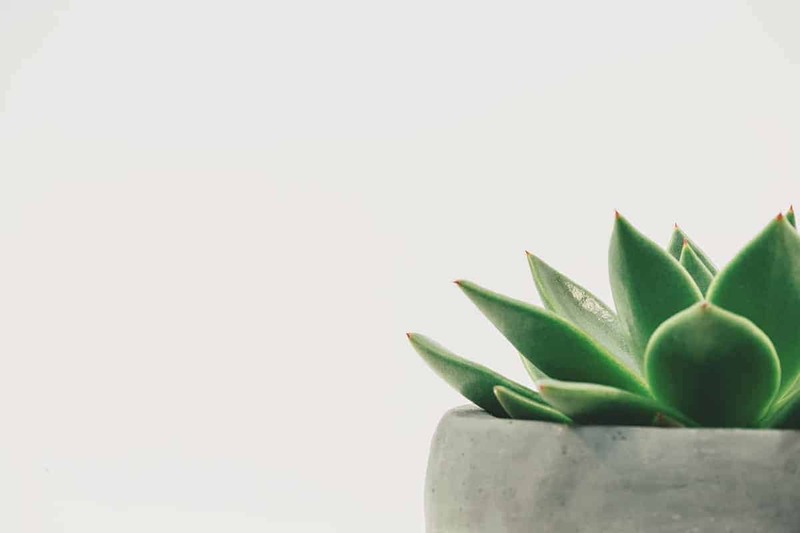 If you’re looking to take a deep dive into learning everything minimalism, you’ll want to check the best minimalist blogs like The Minimalists and Becoming Minimalist to learn more! There’s no reason to go extreme when you get started. The simplest way to get started is to remember this: look around a room, and if there are items in there that you label as “junk” or “just taking up space” 90% of the time and that drives you crazy, then you’ve found some things to start finding new homes for, be it the donation center or the garbage can. You can also start to consider the pros and cons of various aspects of your lifestyle. Is your home significantly larger than your family could ever need? Consider downsizing. Is owning a home really a smart idea for singles or young couples? Consider looking into homesharing. Does that first home you have your eye on have enough space for the size of family you’re planning? It might be better for your specific situation to buy a larger “forever home” and skip the starter home step (to save money and time in the long run), but know that you do run the risk of having too much space you’ll be tempted to fill up! Then again, with less stuff you might not really need so big of a house! Do you find yourself constantly feeling like a slave to the “stuff” in your home? Neverending laundry, dusting a million knick-knacks while cleaning each week, etc.? It might be time to start thinking about making a donation run. If you can identify even just a few areas of your life where simplifying would give you noticeable benefits, then I’d say it’s time you just dive in and get started! There is honestly no reason that you can’t or shouldn’t get started on making your life look more like a minimalist today, right now! True, while minimalist living with a family might be a little trickier than with just a single person or couple’s home, this list of ideas to get you started will help ANY family start getting back to simple living. Collections cost money and take up space. A collection of designer handbags are going to do both; cost a lot of money and take up space. Try to sell your collection on Amazon or eBay. I have a collection of mugs. At the end of the school year, I was given two more mugs as gifts. Instead of adding them to my collection I got rid of two more. I keep them in a small cabinet next to the coffee maker. With time, my mug collection will become minimal, but for now, it is hard to give it up. Libraries are underutilized. We have so many books that sit on our bookcases. The first step we can do is donate books we have read. The second is to take books out we want to read. While on the path to minimalist living library books will become your favorite thing! With having a due date to return the books, we are pressured to read them and return in time. I don’t know how many times I stopped and started books because time gets away from you. A deadline will keep you motivated. Our library also has DVD’s that you can take out for free! Beats any Redbox price. This minimalist way means more now to me than ever! I just cleaned out my pantry and spice rack. So many items were thrown out because they had expired. When I try to make fancy meals, I end up buying unique ingredients where the recipe calls for a teaspoon and then it sits in my pantry for years until it becomes expired. By simplifying meals, the ingredients are simplified. Build meals off of what you have instead of buying new items. Another great option is using a service like $5 Meal Plan to help with keeping meals simple. But don’t ever stop the process! In preparation for a garage sale, I have continued to declutter our house room by room. When our local church has their summer flea market we use this time to box up anything we have not used over the year. The areas we have spent the most time in decluttering are our closets and the kitchen. Clothes pill, shrink and change over the year. Check out your wardrobe and adjust. Do you really need that many pairs of jeans? Our biggest problem with our kitchen is small appliances. They can take up a lot of space and how often are they used throughout the year? If you haven’t used it in a year, clearly you can do without. Donate it or sell it. If you have a small kitchen like us, making the most out of your space is crucial to a functioning kitchen. Consider investing in quality items that can serve many purposes, like an instant pot (your meal planning/prep will thank you for it — check it out for yourself, here)! Having a decluttered house will help if you ever want to use your house as a homeshare. We have talked about doing this in the summer months when we are traveling. One of my biggest reservations is how many personal items I have up on the walls and around our home. Minimizing these items would help with the potential of someone wanting to share our home. Just remember to often keep a critical eye on your stuff – is it starting to build up again? Is something that was once useful no longer worth keeping around? In addition to decluttering, you should also challenge yourself to keep flat surfaces as clean as possible. Yes, that might well mean that your work desk at home has your computer and maybe a cup to hold a couple of pens, and that’s about it. How does this help you live a more minimalist lifestyle? If you can’t store things on a flat surface in the open, that means you’ll have no choice but to find a “home” for it. If you run out of spots to store things, well, then clearly you’ve got too many things! While you’re at it, also try to make sure that everything is ALWAYS in its proper “home” when not in use, or at least do a once per day pick-up to put things back. Dishes should be rinsed and put in a dishwasher (if not washed and put away immediately), laundry belongs in a hamper (or washing! ), and mail should be sorted and filed as soon as it comes in the house, not left on the counter or desk to stack up until it’s almost unmanageable. Traveling light is a hard one for me. I like to be prepared and have options while away. As I adopt a minimalist lifestyle I know I will have to change my ways. For a lot of people, this can be hard. I have picked up a lot of travel hacks over the years to help cut back on my packing. My favorite has been TSA approved reusable travel bottles. They are great for weekend camping or trips to the Caribbean. Saying no is easy for me. If you just read my article on saying no, you might wonder how that would apply to a minimalist lifestyle. Simple! When my in-laws moved, they asked us if we wanted a lot of what they were getting rid of. Saying no allowed us to make sure we were not inheriting clutter that we didn’t need in our house. One thing you can say no to is a bigger house. When you purchase a bigger house it takes away from the minimalist lifestyle. Having a bigger a house is a problem on many levels, so make sure you’re not making any mistakes when you’re planning on buying your first home! First, your budget is going to be hurting when you have a large mortgage to pay for every month. The larger the house the more money is attached to owning, upkeeping, taxes, etc. Why get a house bigger than you need? Life is about adventure and creating memories! The bigger your house the more constricted your life actually becomes. The second issue is it allows for more “stuff” to be filled to take up space. You will need to purchase more furniture and room decor. Just say no! Find ways to make your products more eco-friendly. Reuse and repurpose things around your house. For example, instead of buying costly rolls of paper towel, buy reusable paperless towels that you can wash. In order to save money and become more eco-friendly, we bought the Nest thermostat. The Nest learns our living patterns and makes the adjustments to optimize our heating and cooling systems. Taking initiative today will save you money and help our beautiful planet for years to come. I’ll use makeup as an example here. Let’s say you’re one of those girls who has one product each for eyebrows, blush, bronzer, concealer, foundation, lipstick, eyeliner, eye shadow, etc? That’s 8 items alone, and I doubt most girls just have ONE eye shadow anyway! Lately I’ve seen a lot or products that can double as blush and eyeshadow, concealer and highlighter, or brow pencil and eyeliner. Doesn’t it make more sense to not just simplify your costs, but your storage and your routine as well?! As you work on your budget every month, if you continually give yourself a lot of room to enjoy on your clothing, miscellaneous, eating out, or “fun” budget categories, you’ll find it much easier to spend money that you really didn’t need to spend, as well as end up with more stuff in your home than you need. By giving yourself as little room in these categories as possible (and working on actively shrinking it month to month), you’ll find yourself having much more cash available to do better things with, such as invest for retirement, save for your emergency fund, or even put towards your next big purchase to avoid taking on more debts. Along with simplifying your meals (and keeping with having a small list of options when it comes to meal ingredients to choose from), buying bulk sizes can make a lot of sense for a minimalist lifestyle, as long as you’re doing it right! If you’re stockpiling everything and anything purely because it’s on sale/at a great price, whatever, then you’re doing it wrong. If you limit yourself to only using potatoes or rice for side dishes (and NEVER use pasta), then buying 20lbs of those when they’re on sale makes a lot of sense. Sure, you’ll have a little bit more to store than you absolutely need right this minute, but in the long run, you’re at least taking up space with something you’ll really get your value from, AND you’re saving money. Win-win! Minimalism on a lower income is definitely tricky – you might not even really have much money left over to save each month. This is why it’s so important to learn to live a more frugal lifestyle, pay off your debts, and work hard towards financial freedom, no matter your situation, so you can start to save your money for both your peace of mind security and for those incredible memories you want to build. In addition to getting out of debt, you should also look to operate your budget on a much more streamlined system, like simple budget templates. Have accounts for retirement, emergency savings, etc. as appropriate, but rather than having multiple savings accounts to save for a wider variety of things, try using one (separate from your emergency fund, of course), and tracking your savings progress with something like a simple spreadsheet or a budgeting program like Personal Capital. The same goes for checking accounts. Many people think it’s useful to have one checking account for paying utilities/fixed bills, one for flexible costs (like groceries or clothing), and another for “fun money.” This (in conjunction with the multiple savings accounts) is a really good way to forget exactly how much money you have as well as what you’re using it all for. If you do use credit cards (and can avoid falling into their many traps), limit yourself to using just one credit card. You’ll be able to keep a better handle on your spending if you’re not spreading your costs over multiple semi-hidden sources. Get out of debt as fast as you possibly can (if you haven’t already)! Remove recurring expenses wherever possible (how many streaming services do you really need?). This is the last on the list not because it’s the least important or least useful tip, but because it’s the hardest one to do. We all often forget just how much we DO have to be thankful for, every day, no matter how bad the rest of our life may look at any given moment. If you’re constantly wishing for things you don’t have, you’re setting yourself up to want to surround yourself with “stuff.” You’re negating all the hard work you’ve done to eliminate unnecessary items and learn to regularly use and value what you do still have. Even if you wish your car was nicer/newer, your house was cleaner, or your paycheck was bigger, stop and take a moment to appreciate what things look like right now, so that you can be in the right mindset to truly appreciate things when they become even better down the road. 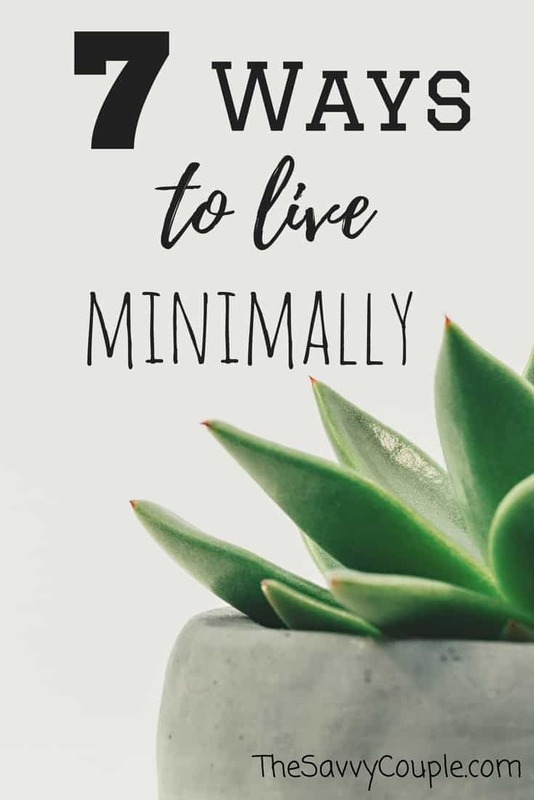 Do you live a minimalist lifestyle? How did you get started? What is your best advice for beginning as a minimalist? Join us and others in our journeys to become more minimalist in all areas of our lives in our private Facebook group, The Savvy Couple Community! When we moved from California back to Minnesota, same thing – except for two of us, and we had two vehicles (Sonata and an Elantra which is even smaller). Thanks for stopping by Dave. A minimalist lifestyle definitely helps when it comes to moving! Great timing on this post! We just started some major decluttering over the weekend. After moving 3 times over the past 5 years we had ended up with a lot of stuff in boxes that hasn’t been touched in years now. Figured it was finally time to bite the bullet and recognize that it was time to move on. Can be tough to take the first steps to decluttering but it’s pretty liberating once you get going. Awesome glad it was good timming. Love this idea, but also love to shop! There is almost nothing in stores that I don’t like! Need to stay out of the stores if I have any chance at making a “go” of this! Sounds like you are starting to get a plan in place. Stay out of those stores lol. I’m a big believer in living a minimalist lifestyle. Our society is so consumed with “things” that we never really stop to ask ourselves if we need them in the first place. Using the library is a great way to save space and money. It’s also a risk free way to see if you like a book. I get every book I can from the library and only if I really love it and think I’ll read it again do I buy. I think a lot of people can be put off when they hear the word minimalist, thinking it means you’re living in a tiny house with a 5 piece wardrobe. While that’s an extreme example it’s easy to work small amounts of minimalism into our life. As you said start with a collection you no longer need or just pick one room to keep clutter free. Even small wins add up.